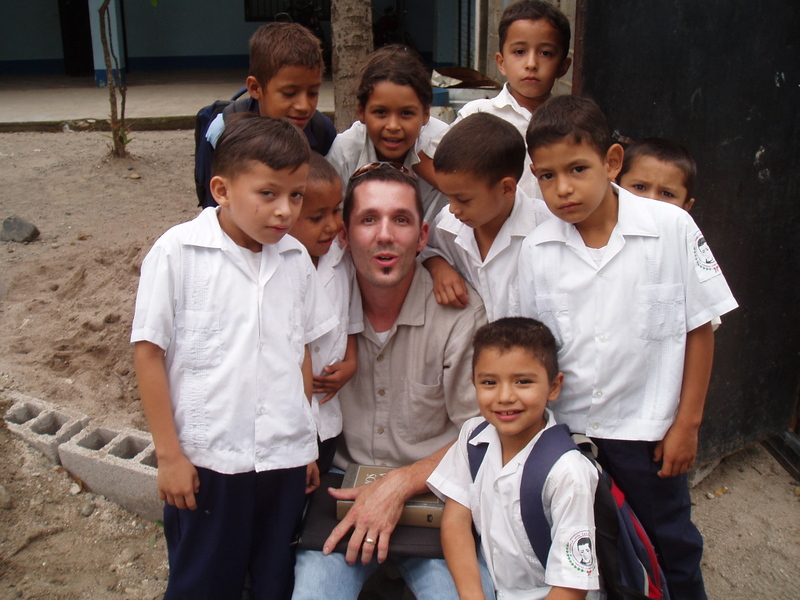 For the better part of 15 years I have been traveling to Comayagua, Honduras leading short-term service teams to work among the sick, orphaned, destitute and the dying. It has been an extremely rewarding experience and one that has impacted my life in truly unique ways. While working among those front line missionaries that have dedicated their lives to labor in a foreign land I have had the pleasure of meeting and working with some wonderful people who have become dear friends. Among them are Jim & Linda (medical missionaries) and Sister D (Missionary of Charity). In addition to making friends I have fallen in love with this country and its people. Jim and Linda introduced me (& my teams) to the nuns (Missionaries of Charity) who established a home for the elderly and a separate “enclosure” for women and their children affected by HIV. We were interested in working with the sisters because of a fondness of Mother Teresa’s work among the poor – a true example of a servant of Christ. Our service centered around visiting the elderly, as well as facilitating arts, crafts and games for the children and mothers who are in a rather difficult medical situation. We also delivered high quality formula for infants, sports equipment for the children and toiletries for the adults. Our reward – the smiles upon the resident faces upon our arrival, during our work and as we depart. That alone has been life-changing! Over the years I was able to develop a personal friendship with Sister D who was the administrative head of the home and my point of contact upon arrival. It was in this context that we had occasion to talk about a variety of different subjects including my interest in the Catholic Church and its work among the poorest of the poor. However, it was one particular day that changed my life – forever. I was working alongside my team preparing lunch for the entire campus. We were working with the nun’s in the kitchen when Sister D requested my presence. I stated that I was working and I probably needed to stay with the team. In a truly kind but matter of fact way she stated that the team would be fine and that I was to follow her. Not wanting to “disobey” and truly curious I followed. Sister D took me into a section of the campus where the nun’s cared for those who were HIV positive and then led me into a room where a beautiful, young woman was dying from this wicked disease. Sister told me her story and asked me to pray. Gazing upon her dire condition I knelt, held her hand and prayed for God’s intervention. We spent some more time in her presence – bringing some much needed companionship to a person otherwise isolated because of her condition. Afterward we proceeded through a steal doorway into the convent to observe the pattern of a Sister’s life. This was the first time I had seen “behind closed doors” to observe their way of life. What amazed me was how true to form (based on everything I knew) the Sister’s life was to that of Mother Teresa’s. They live in radical simplicity yet with true joy. There was not one sister there – washing clothes, doing chores or praying (kneeling on a cement floor) that did not radiate joy. I was amazed and overjoyed to be given this opportunity – to peek into the life of these most revered Missionaries of Charity. I walked away from this experience forever changed. See, I already made my a commitment to follow Jesus. I knew the importance of serving Him through serving the poor. However, what I realized that day was the importance of our “interior formation.” The call to prayer, self-discipline, reflection as a way of life. For years I had observed the Missionaries of Charity labor among the poor. Now – I had the opportunity to see what fueled their fire. An intense love for Jesus couched in their personal vows of poverty, chastity and obedience. Breaking News: I will never become a Missionary of Charity. Yet what I take away for my own life is a willingness to serve Jesus in the distressing disguise of the poor and a willingness to develop an interior life that will give me the strength and joy to fulfill Christ’s call. May God give us his grace and strength…and thank you sisters for your example!